OYO Phonepe Offer – Get 40% Off on OYO Booking With PhonePe, Do you want to book hotels? if your answer is yes then here is a great offer for you. Now book hotels on OYO with Phonepe and get a discount on your booking. This offer is valid from 15th February 2019 (00:00:00 Hours) to 31st March 2019 (23:59:59 Hours). So follow below given steps and avail this discount offer. You can make a transaction with any payment method on Phonepe. 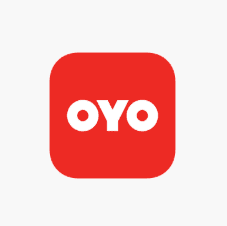 1) Flat 40% Off on OYO booking through PhonePe app No minimum amount. 2) Now book Oyo at ₹1 and Pay rest at Hotel. 6) Apply the promo code – OYOXPHONEPE on booking review screen to avail the discount. 8) The Voucher is valid for check-ins made on 15th February till 31st March 2019 only. 9) Booking made with this coupon cannot be modified. 10) Payment to be made through the wallet, UPI, Debit Card or Credit Card. 1) First of all Download Phonepe app from Google Play Store. 3) You can also login with your old credentials. 4) Then load some money in your phonepe wallet or skip this step. 5) Now Download OYO app from Play store. 6) Register your account on OYO or login with username and password. 7) Verify your mobile number with One-time password. 8) Then book hotels or make any other transaction, whichever is given in the above offers. 9) Now Apply above given promo code to get cash back or discount. 10) Then proceed to payment, on this page select Phonepe. 11) Complete your transaction with PhonePe wallet. 12) Cashback will be credit in your PhonePe wallet.